GOULDING ENHANCED-N (GEN) WITH NUTRISPHERE N® IS A RANGE OF HIGH QUALITY, GRANULAR NITROGEN FERTILISERS AVAILABLE NATIONALLY FROM OUR LOCAL PLANTS. GEN uses the unique, polymer-based urease and nitrification inhibitor, Nutrisphere-N® Nitrogen Fertiliser Manager to stabilise the nitrogen reducing the risk of losses from volatilisation, leaching and nitrification. GEN is as effective as CAN and gives farmers a viable and economic alternative source of nitrogen. By shielding nitrogen from the soil enzymes and bacteria that cause volatilisation and nitrification losses, Nutrisphere-N® holds more of the applied N in the more stable ammonium form for longer. 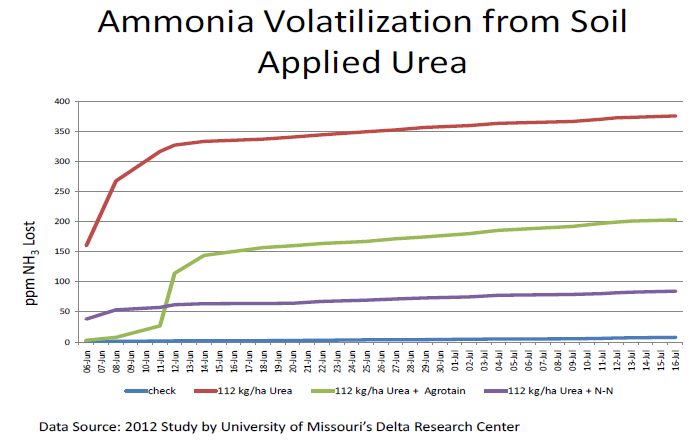 Holding the N in ammonium form for longer reduces losses to volatilisation and nitrification and keeps more of the N available for plant uptake. What are the benefits for farmers? High quality granular product which can be spread to 30m +. 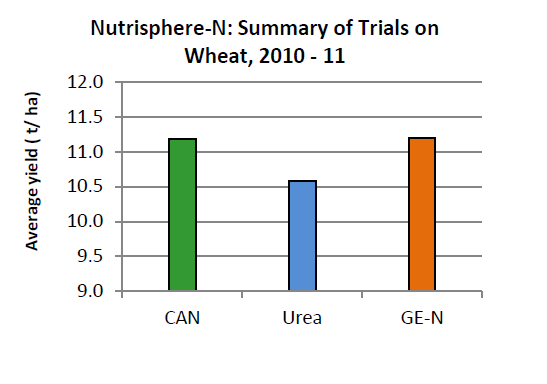 A series of independent replicated trials over 2010 – 2012 has demonstrated GEN to be more reliable than urea and as effective as CAN. The graph below summarises a network of trials on wheat on a variety of soil types and sites. GEN is a scientifically advanced fertiliser. Using proven and environmentally safe technology, GE-N enhances nitrogen efficiency for more profitable farming. For more information on Nutrisphere-N product details visit the SFP website.